Rodea the Sky Soldier, the long awaited flight-action game from Sonic the Hedgehog co-creator Yuji Naka will finally release in Europe on 13th November 2015 courtesy of PROPE and Kadokawa Games. 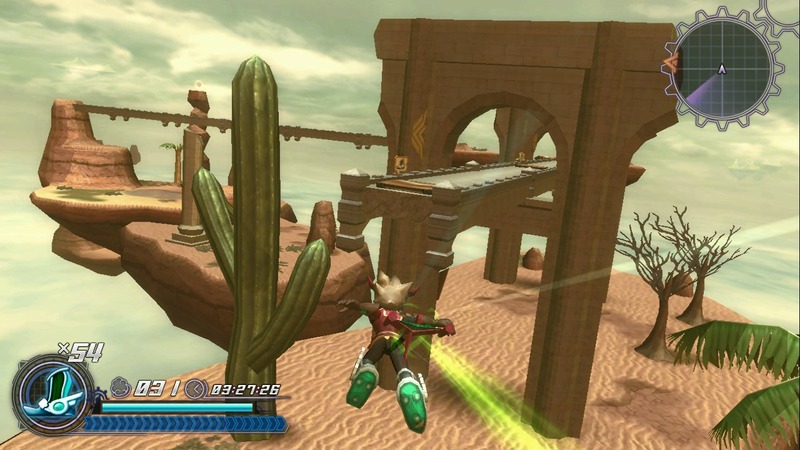 To celebrate its launch, we caught up with Naka and director Jin Hasegawa to find out more about Rodea the Sky Soldier, coming to Wii U and Nintendo 3DS family systems. Nintendo UK: Hello to both of you! Please could you give a short introduction to who you are and what games you have created in the past? Jin Hasegawa: Though it was 20 years back from now, I used to develop NEO-GEO titles such as World Heroes Perfect, Ninja Master’s, Beast Busters Second Nightmare, etc. From there, I worked with the Project Zero series, and Dead or Alive series. 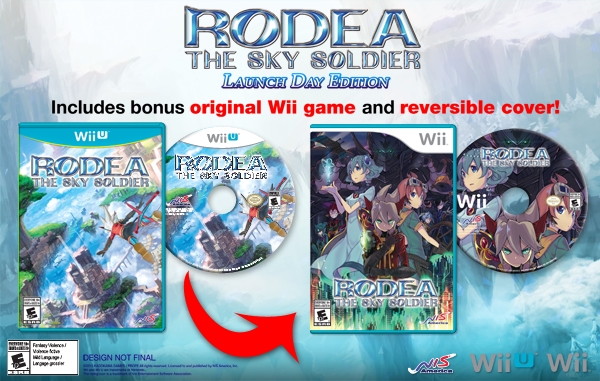 From Kadokawa Games, I have been involved in many developments.Rodea the Sky Soldier is my first Nintendo title. Yuji Naka: I have developed various games at Sega for 22 years. Some of my renowned titles include games such as Sonic the Hedgehog, NiGHTS Into Dreams, Phantasy Star Online, Samba de Amigo. Sega helped me create the company PROPE so that I can make new IP games for Sega. Some of the renowned titles include Let’s Tap and Family Fishing. Lately, I am in the middle of creating works such as Nintendo 3DS titles StreetPass Mansion and StreetPass Fishing. UPDATE - Both NA and EU are seeing delays. NA will get the game on Nov. 10th and EU gets it on Nov. 13th. 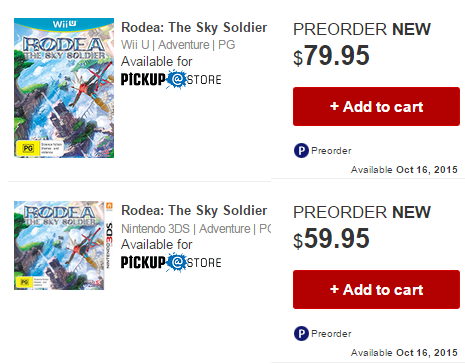 If you preordered Rodea: The Sky Soldier from Amazon, keep an eye on your inbox. Some people are receiving a notice of delay. The message below was sent to someone that purchased the Wii U version, which Amazon says is now slated for sometime around Nov. 16th-20th. We have received new release date information related to your pre-ordered video game in the order you placed on *******. The release date for the video game listed below has been changed by the publisher. 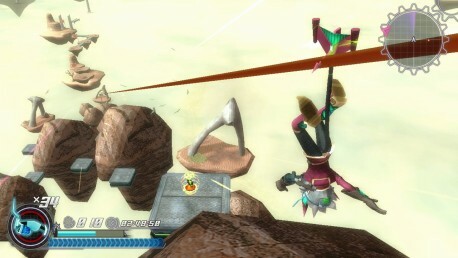 No official word from the publisher yet, and also no details on the 3DS version. If you get an email about a delay, please pass it along to us. We'll try to get confirmation on this info.